24ORE Live is the structure of Gruppo 24 ORE that designs and implements events, integrated with the different souls of the group, to meet the needs of customers and disseminate the information assets of the Sole 24 Ore.
Tailor made projects, which take advantage of different formats, conferences, road shows and major events, whose contents are designed together with the publisher and range from finance to regulatory changes, from culture to design, from sports to work, and are able to satisfy the needs of different targets, BTB and BTC. Telefisco the annual meeting of L’Esperto Risponde, broadcast live on over 160 locations throughout the country and streaming on the website of the newspaper, which updates professionals on tax news at the beginning of the year. The event sees the participation of the most important institutional positions and experts of the Sole 24 Ore.
Value Based Healtchcare. A strategy for Italy. A meeting aimed at the protagonists of the Italian health system, promoted by Medtronic in collaboration with Health 24 – Il Sole 24 Ore, wanted to support the so-called Value Based Health Care (VBHC), the strategy that intends to define new health models based on the value goal of improving patients’ health outcomes, while containing resources. The event has seen the participation of institutional guests and health institutions that have brought concrete experiences and cases of excellence. Italian Venture Capital & Startup Summit 2018. 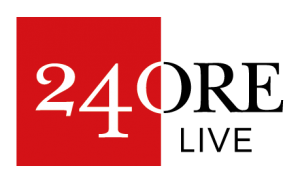 The event, now in its 4th edition, sees Il Sole 24 Ore and AIFI collaborate to offer a meeting point for all the major players in the world of startups: banks, accelerators, venture capitalists , institutions and Public Authority. An event designed to facilitate the meeting of ideas and capital, to put the protagonists of the Italian ecosystem at the same table and to present them to international actors. Cybersecurity, The evolution of security in the ecosystem 4.0. Road show on the national territory with the involvement of experts, researchers, institutions, companies and trade associations to address the issue of security with a system approach. In collaboration with CINI. 2nd edition of the event dedicated to open innovation, organized in collaboration with the University of Padua and with the patronage of Confindustria Padova, Treviso, Veneto and the Municipality of Padua, which for two days animates the historic center of Padua, the seat of its University and the Botanical Garden. Researchers and experts, university students, entrepreneurs, institutions, citizens and families are involved in over 50 public and free meetings. 20,000 admissions estimated in 2016 edition. Women of DESIGN and SPORTS Women two events realized in collaboration with the editorial staff of Alley Oop, the multi-signature blog of the Sole 24 Ore dedicated to gender diversity, to tell the successful women in different fields. The events are accompanied by the publication, on the website of Ilsole24ore.com and within the relevant mobile APP, of an Ebook containing interviews with the protagonists of the event itself.